Welcome to Fujitomita. 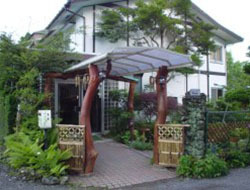 Operated by Hiromi and Hasayuki Amano, this family-run Standard Ryokan is ideally located near Lake Yamanaka, Mount Fuji, and the Five Lakes district. 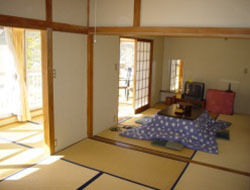 There are 8 Japanese-style rooms at Fujitomita, and 3 of these rooms have their own private bath and toilet. 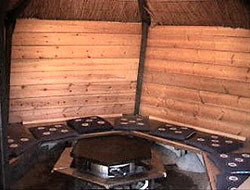 Shared hot spring baths are provided for both women and men (same gender only). A home-made swimming pool and tennis court are available to guests at Fujitomita, and in the summertime BBQs are held by the swimming pool. The hosts are amazingly sweet and super accomodating. I stayed here one night with a friend during our travels in Japan - it was our only Ryokan stay and it was perfect. The rooms are clean and nice, the food is some of the best we've had (and that says A LOT) and waking up to the view of majestic Mt. Fuji was fantastic. I highly, highly, recommend this place. We were two families with five children (ranging from 3 to 15 years) and took up two rooms for a night en route driving from Gifu to Hakone. The inn was in a woody area, with houses and a camp-style inn next door. There was some development nearby which was quite bright at night. 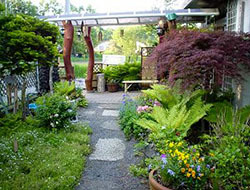 Hiromi and her husband were warm hosts and we enjoyed the meals and the family-style onsens. Despite the mountain-facing rooms we were given, luck was not with us as the weather was cloudy and we were unable to see Mount Fuji. The rooms were comfortable and the shared toilets were close by. Showers were in the onsen rooms downstairs. 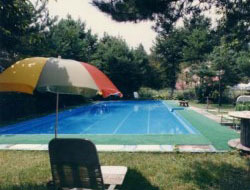 Although the swimming pool was dry, the kids (and some adults!) had a great time on the two trampolines. This was our first experience with a Ryokan and my husband was very adamant that we try it and I'm so glad that we chose this place! As mentioned in other reviews, the hospitality was amazing and everything was taken care of above and beyond. 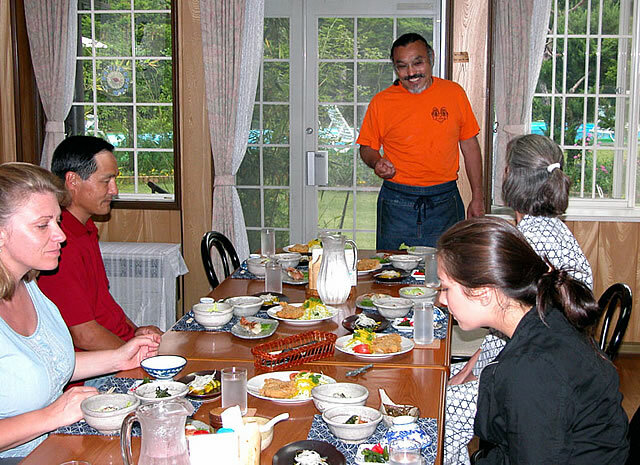 The food was amazing and included traditional breakfast and dinner made up of many little dishes. I am a picky eater and I ate most of what was made for me. The rooms were spacious and gorgeously decorated. The Oshino Hakkai ponds are within walking distance and beautiful to see, and there are bus stops close to the Ryokan that go into town. All in all, highly recommend staying here! Visited March 2018. This was the first time my brother and I have ever experienced any kind of ryokan and it was wonderful. Cons first. The building itself is a little outdated, but I think it added further to the charm. 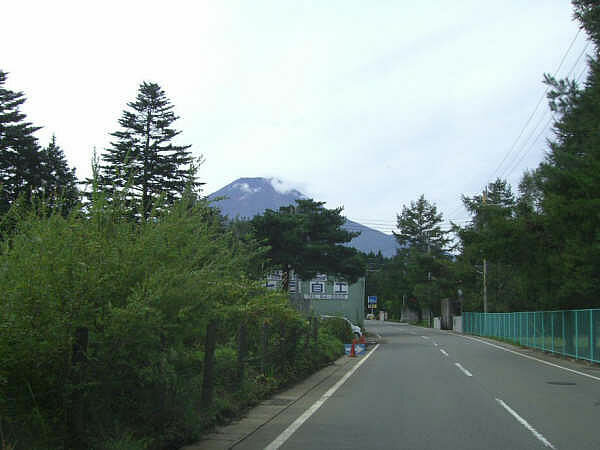 While we had a perfect view of Fuji-san from our room, the drive was a bit far from Fuji-san station and we had to be driven if we wanted to go to the town to explore. However! I think all the "imperfections" added to the experience. The building felt like it came out of Studio Ghibli and I was waiting for tiny people to come out of the corner. The fact that it was cold out and that the location was secluded made us decide to stay indoors from the time we checked in until it was dinner. It was a really nice change from the running around we did in Tokyo. The kotatsu was AMAZING and made me feel so cozy. 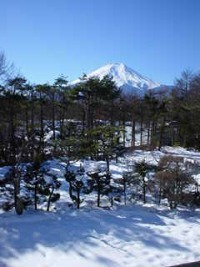 Just sitting there, under the kotatsu, enjoying some rice green tea and looking out to a snow covered Fuji-san. One of the most memorable experience in my trip to Japan. The hosts were so nice and accommodating. There were no problems communicating with them in English. The food was fresh and utterly delicious. I can't even describe how good the food was. I didn't even know some of the things I was eating, but it tasted amazing! Check out was seamless. We told them our plan, which was to visit the nearby temple. They offered to drive us to Fuji-san station first to drop off our bags at the tourist information and drive us to the temple. 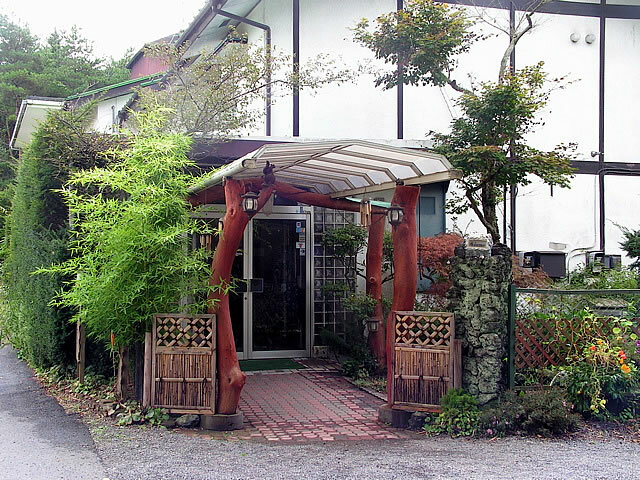 I highly recommend this ryokan if you plan on staying around Fujiyoshida. My partner and I spent one night at Fujitomita. 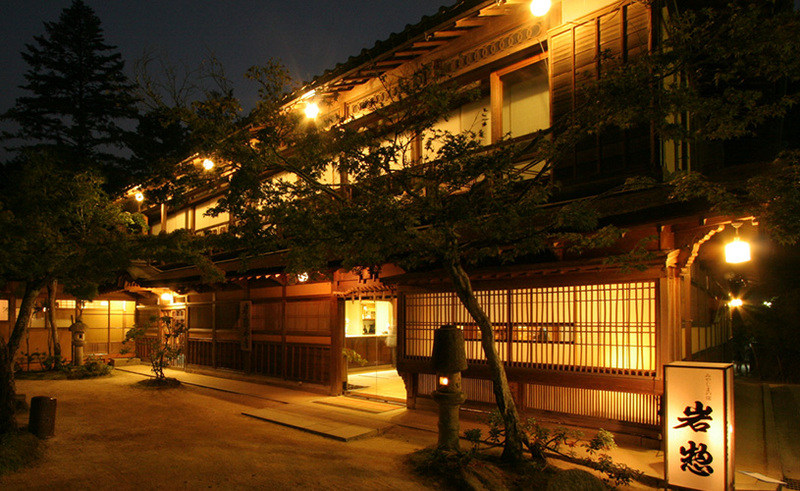 This is our first ryokan style experience and we really enjoyed it so much. We stayed in the room with the nice view of Mt. 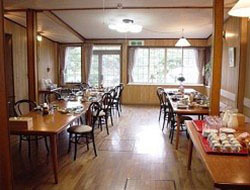 Fuji and selected the Japanese style dinner and breakfast. The dinner and breakfast were served with beautiful presentation and the taste were so delicious. We also enjoyed the hot bath there as we can reserved it for our own private use. We really had a wonderful stay at Fujitomita and strongly recommend those who are looking for a ryokan experience to stay at Fujitomita!! We stayed at Fujitomita for just one night, but it was an incredible night! 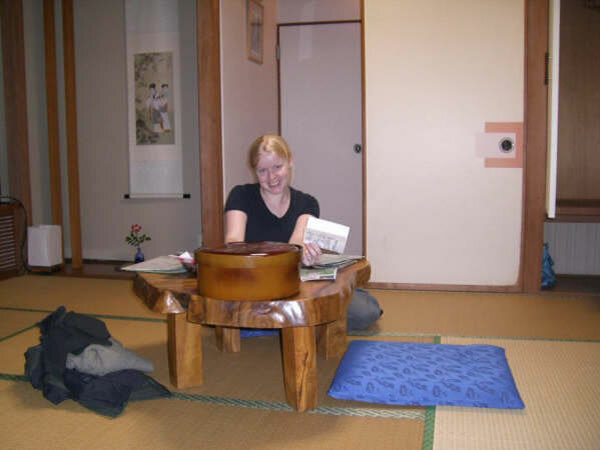 This was the our first ryokan experience. 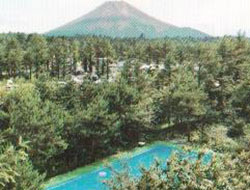 We booked one of the Fuji view rooms and what a view it was! 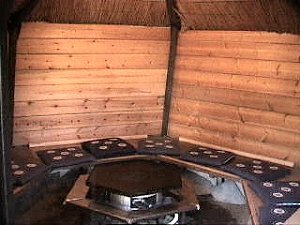 The room was large and comfortable, with attached bathroom/shower room. Though there's also the large mineral baths downstairs which are really pleasant. 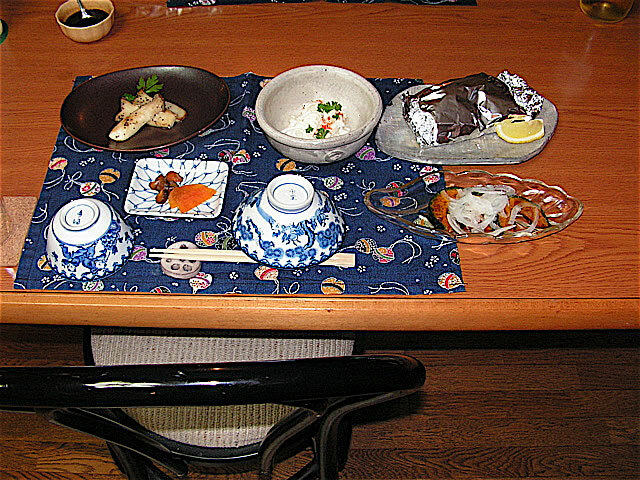 Our dinner and breakfast were absolutely phenomenal, each among the best meals we had over 3 weeks in Japan. The only downside is that it's quite a distance away from the main part of town and any train stations, but I guess that can be viewed as a positive in some ways too. They have a free shuttle service from Fujisan Station, just call and they'll zip over and pick you up. The people in the tourist info booth at the station knew of Fujitomita and called for us. Very helpful! We stayed in Fujitomita for one night only during a heavy storm. We were picked up at the train station and brought to the Ryokan by Hiromi and her adorable daughter who speaks a English too. We were warmly welcomed in this rainy day. 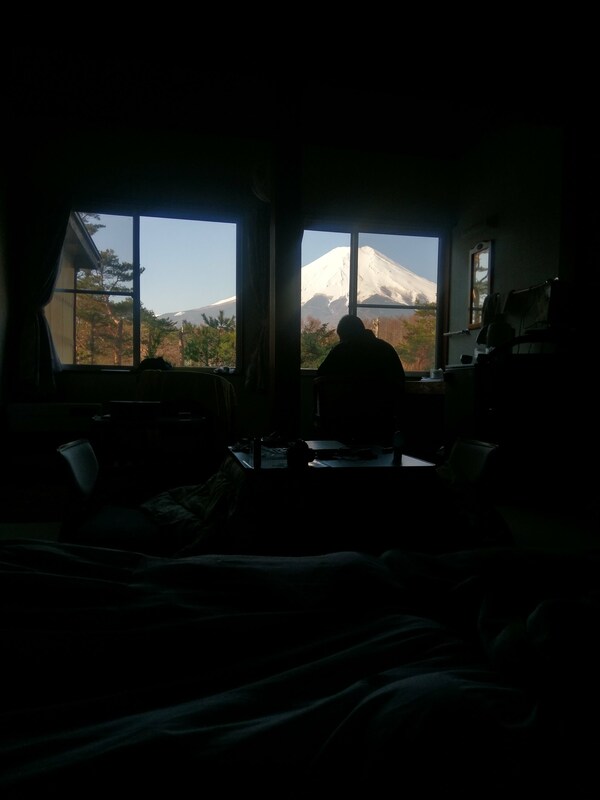 The room we stayed in was huge for Japanese standards with views to mount Fuji, even though we could not see them due to the bad weather. We used the private bath and it was lovely, even though a little but dated. The food was absolutely stunning. We had dinner and breakfast, both fantastic, with plenty of variety and all home made. 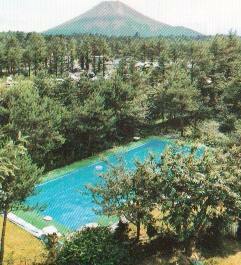 The only draw back of Fujiomita is that is a bit further out of "town". All in all a great place. We were visiting our daughter who is spending the year studying in Tokyo over the New Year holiday. 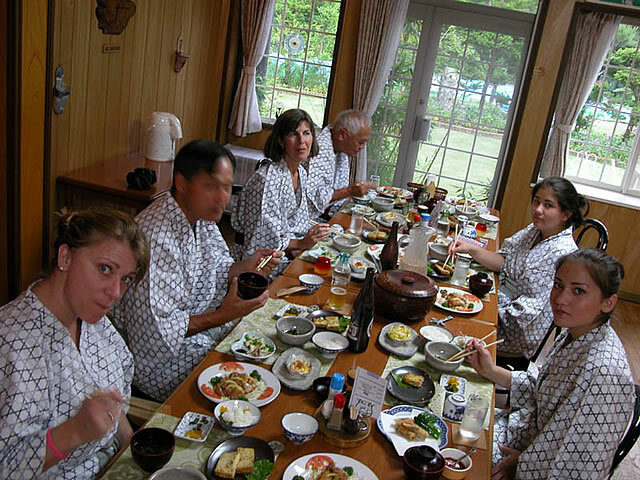 We chose Fujitomita as a fun overnight trip and to experience a Japanese Ryokan. What a wonderful decision. Everything about our stay and experience was excellent! The accommodations, staff, food, and local area was one of the highlights of our trip. We were picked up at the train station and after settling in took a refreshing hike to Oshino Hakkai. We had a wonderful dinner and then relaxed in the onsen. 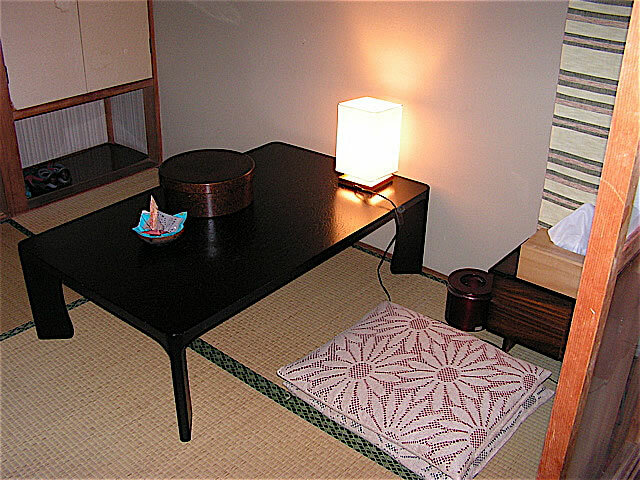 Our family particularly enjoyed sitting together around the kotatsu, drinking tea and catching up with life! 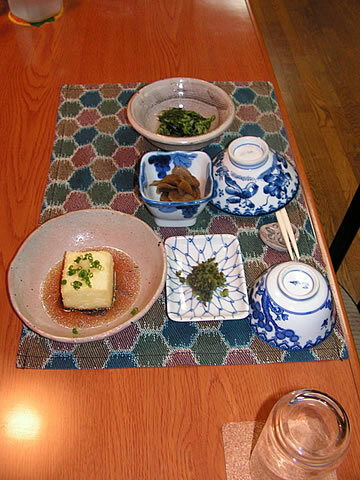 A delicious breakfast the next morning and a generous offer from the Amano family to take us to the train station and then back to the Fujiyoshida Sengen shrine. It was a nice day, so we declined the ride and took the opportunity to walk, but the offer was generous and a small sample of the extraordinary service you can expect! This ryokan was our first ryokan experience and it was a good start. We enjoyed everything: the hospitality, the warm welcome, the accommodations (the room was rather large, especially when coming from Tokyo with a nice view on the Mont Fuji), the indoor bath, the nice garden and the food was excellent. Well, a place to go without hesitation! 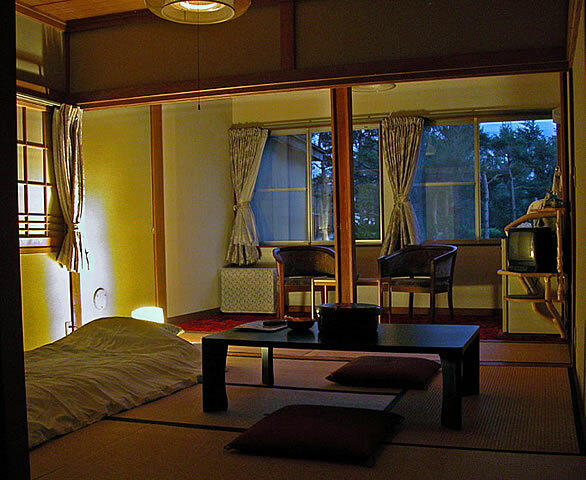 This was my first experience in a ryokan and it could not have been better. The hospitality, the food and finally after twodays waiting the wonderful Mt. Fuji.What a great place! Fujitomita was our shorter stay (only one night) at one place during our two weeks honeymoon travel through Japan, but my wife and I shall remember it for decades. Even if it was probably not the best season for it ... We had the time to visit on foot the nice town of Oshino, its eight ponds and its temple ; wait for Fuji-san to emerge from the clouds in front of our room's window (better than tv) ; taste (actually devour) the excellent traditional diner and breakfast of the ryokan ; try the familial bathroom and especially its bathtub ; and spend a good night in a beautiful traditional room. 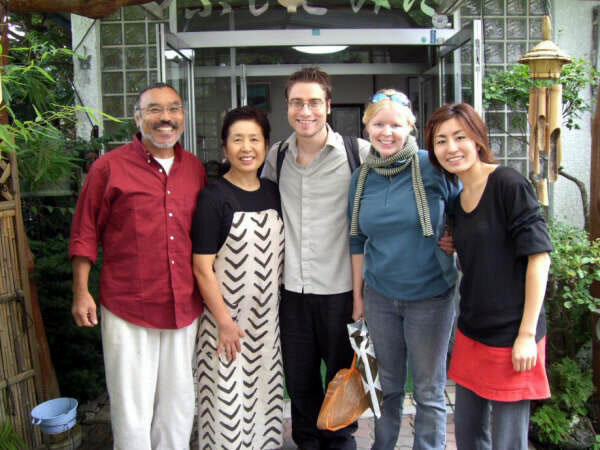 We are so grateful to Hiromi and Amano ! My wife and I stayed at Fujitomita for two nights. This was our final ryokan stay. 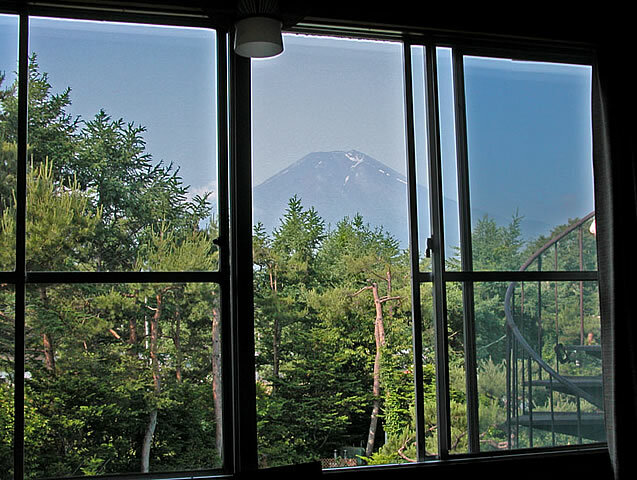 The house and rooms have unbelievably beautiful views of Mount Fuji. It was raining heavily the night we arrived. The next morning, it was crystal clear outside with an enormous amount of fresh snow on the mountain. We were very lucky. The second morning had a few clouds around the mountain. But, still a very nice view. In addition to the spectacular views, the hosts were sweet and very hospitable. They picked us up and dropped us at the train station several times. The food was absolutely spectacular too. The hosts could run a five star restaurant. This was some of the best fish we had in all of Japan. The only critique I can make is that the house's interior, room, bathroom, onsen (spa) was all a bit dated. Everything was clean and well maintained. But, an upgrade to more modern bathroom fixtures, etc. would make this place absolutely perfect. Living Traditionally and Feeling Right At Home. Having recently graduated from college, I decided to move to Japan for 3 months and travel around with a low budget and big hopes of having the opportunity to get to experience traditional Japan. 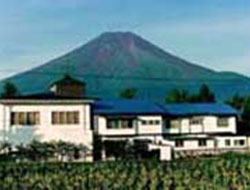 First, not only did I get an amazing deal for a one-night stay, at Fujitomita I felt right at home. My one-night deal included entrance to their hot baths, dinner & breakfast, AND when I walked into my room -- I just couldn't believe it. The room was so beautiful and so spacious, I did ask for a private bathroom so that might have had something to do with it as I was willing to pay a little extra for this, but still I was not expecting the room to be as amazing as it was. The room (more like a suite) in addition to the private bathroom, it had a little entry-way and small room that connected to the bathroom before another set of doors opened up to the main bedroom. 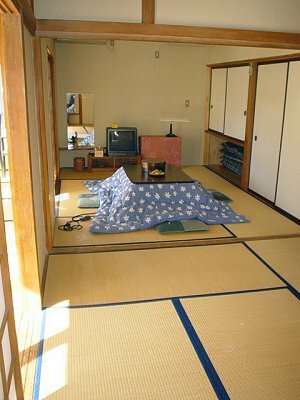 The main bedroom came with the traditional futon AND a kotatsu - which was something I had been dying to try. The view from my room faced Mt. 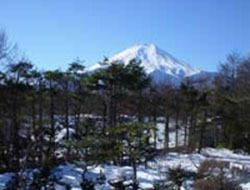 Fuji, and as winter is my favorite season, the view was breathtaking. 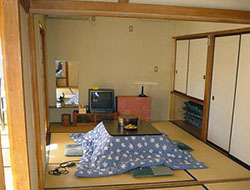 Inside this main bedroom I was also equipped with a TV, a traditional tea set for making tea, green tea bags, a water heater, and a traditional Yukata. Now, as for the service, honestly -- I just couldn't believe it. After arriving at the Fuji-San train station I called Fujitomita from a payphone to let them know I had arrived, as they include a pick-up service if you arrive between 2 and 5 PM (please don't quote me on this). The pick up location is the tourist information office right next to the station, and while I was there the ladies at the help desk were so kind and even encouraged me to try doing some things before I went to Fujitomita (which they knew of) and then they ended up calling Fujitomita for me to arrange another time for pick-up time and I ended up going to one of the main temples nearby and an observation deck where I got an amazing view of Mt. Fuji! I was just beyond happy that I got to do all this (I had been planning to just go straight to Fujitomita and relax) and that they were kind enough to call and make a change of plans for me. I went back to the tourist office after 3 hours, and someone from Fujitomita was already there waiting for me! The ride was about 15-20 minutes, as it is a bit far from the station by foot, and it was lovely to see all the small-town scenery from the car. When I arrived they showed me around and explained everything and when they showed me my room I was so sad I'd only arranged for a 1-night stay because it was all so great. Unfortunately I could not try out the hot baths for personal reasons, but next time I go back I definitely will! What I really loved was that the family baths, if you want to, you can lock from the inside and make them "private" for you and your family alone. This is something that secured that I return to Fujitomita in the future because, personally, I hate hate hate hate public baths and I can't manage to relax at these things despite how much I want to. But when the owner told me that I could lock the bath (there are two in total) and have the whole thing for MYSELF (she told me this as she was giving me a tour around the place, and not because I had asked). After I was shown to my room and settled in, I went down to dinner at the time I had picked, and well ... about the food. Everything is cooked by the owner, and EVERYTHING is beyond *delicious*. Of course I picked the traditional Japanese meal (they have a western option as well). All I can say is that I have a very big appetite and I love food, but I couldn't finish everything! There was so much on the table, both for dinner and breakfast, and the room where they serve the food is beautiful and you can just sit there and enjoy your meal and look out into the surrounding woods. Check out was at 10 AM, so the only thing I have to complain about is this. When I "travel" waking up early to go out and about is something I'm used to, but for this once I just wish I could have had a chance to stay in bed longer, have a bit more time to relax, and not be forced to have my breakfast so early in the morning- especially when it is like a ten course meal! It is an understatement to say that I was sad to go, but next time I go back I will be staying for more than 1 night, and hopefully get more out of the experience this way. At check out everything went smoothly, and then I was driven back to the station. To everyone at Fujitomita, thank you so much for your hospitality. I had an amazing and unforgettable stay.